It doesn't really have to be your best photograph—just one you like! 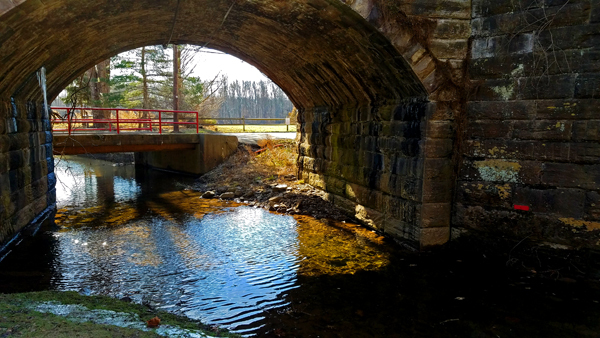 I snapped this while out walking the Schuylkill River trail a couple of weekends ago, on an unseasonably beautiful January day. This is a quiet place that I like very much. It's a favorite spot for contemplating things, with something beautiful to look at in each direction and the sound of water to accompany one's thoughts.